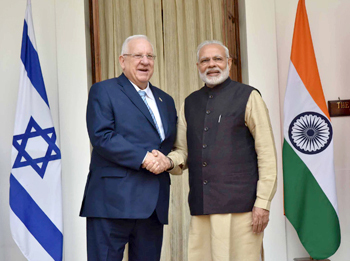 The eight-day visit to India in November by President Reuven Rivlin of Israel further cemented India-Israel bilateral relations. His visit was the first one by an Israeli President after 1996 when President Ezer Weizman had visited India. Arriving in Mumbai with a large delegation of businessmen, academicians and defence officials, Rivlin also paid respects at the sites of the 2008 Mumbai terror attacks including attending a memorial service for six Jewish nationals killed in Chabad House during the terror attacks. 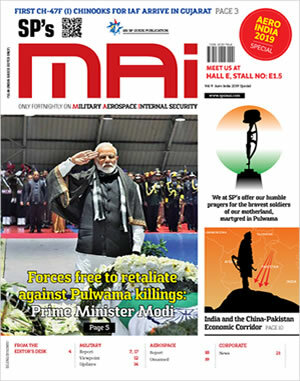 At New Delhi, he met Prime Minister Narendra Modi, External Affairs Minister Sushma Swaraj and visited sites of several joint projects between the two nations, besides joining President Pranab Mukherjee in opening an agro-tech conference in Chandigarh. President Rivlin visited Punjab, Haryana, Uttar Pradesh and Maharashtra, besides New Delhi. In Uttar Pradesh and Haryana, Rivlin took stock of Indo-Israel collaboration in agriculture and water desalination. Welcoming President Rivlin, Prime Minister Narendra Modi highlighted following salient issues: 2017 will be celebrated as 25 years of the establishment of full diplomatic relations between India and Israel; bilateral engagement is multidimensional including in fields of agricultural productivity and efficiency, research and innovation, science and technology for benefiting society, trade and investment, defence and security, cultural and tourism links, promoting educational exchanges, and; both sides would work to counter terrorism, radicalism and extremism even as they are cooperating in areas such as agriculture and water resource management. Both sides agreed to take �practical and specific� measures such as cyber-security cooperation and agreed to expand defence ties. President Rivlin highlighted possible manufacturing and production partnerships in the defence sector. Rivlin�s delegation included officials of top Israeli arms manufacturing companies and senior government officials dealing with matters relating to defence. So, there would have been focused deliberations on defence cooperation, kept largely under wraps for understandable reasons. However, during President Rivlin�s visit, the Ministry of Defence (MoD) has signed a final $400-million contract with Israeli Aerospace Industries for importing 10 x Heron TP UCAVs. Israel�s Ambassador to India Daniel Carmon had earlier stated that Israel has plans for fresh joint ventures and technology transfers in developing weapons systems and ensuring implementation of Modi�s �Make in India� initiative in the defence sector. In July 2016, the 12th meeting of the Indo-Israel Joint Working Group met at New Delhi, co-chaired by Indian Defence Secretary and Director General of Israeli Defence Ministry had taken place where production of the medium-range surface-to-air missile (MR-SAM) Barak-8 was discussed, besides other issues like joint R&D projects in fields like high-endurance unmanned aerial vehicles (UAVs), micro-satellite surveillance systems, armoured vehicles and different types of missiles and precision-guided munitions. Other projects under discussion/in the pipeline include: two more Israeli Phalcon AWACS that are to be mounted on Russian IL-76 aircraft; four more Aerostat radars for IAF; 164 x laser-designation pods for fighter jets (Sukhoi-30MKIs and Jaguars; 250 x advanced �Spice� precision stand-off bombs for IAF; third-generation Israel �Spike� anti-tank guided missile (ATGM) systems, with an initial 321 launchers and 8,356 missiles, and; Israeli �Spyder� quick-reaction SAM systems for the Army. Reliance Defence and Engineering Ltd of the Anil Ambani group is planning to manufacture Kalashnikov class of weapons for Indian armed forces in a joint venture with Kalashnikov Israel (subsidiary of CAA Company of Israel), with Reliance Defence holding 51 per cent stakes in the JV that has a potential market of about Rs. 6,000 crore for the Indian military alone. In November 2016, formation of the JV named Adani-Elbit Advanced Systems India Limited (AEASIL) was officially announced by Adani Enterprises to produce aerial systems. India remains Israel�s largest buyer of military hardware with the latter supplying various weapon systems, missiles and unmanned aerial vehicles over the last few years, but the transactions have largely remained behind the curtains. The bonds between both nations are very strong. Israel has never hesitated to provide state-of-the-art defence technology to India. Already more than 10 per cent of foreign exchange students in Israel are from India. The Indo-Israeli Agricultural Project, which is led by the Indian Government in partnership with MASHAV (Israel�s international development and cooperation agency), is active in nine states across India, and has 15 fully operational centres of excellence with more being planned. Israel supports India�s permanent candidature in a reformed UN Security Council. 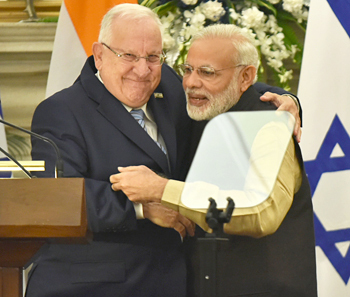 President Rivlin�s India visit was prelude to Prime Minister Modi�s visit to Israel next year, the first ever by an Indian Prime Minister. 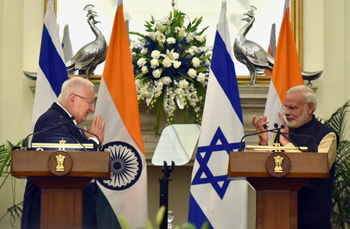 Prime Minister Modi�s visit will take the India-Israel relations to the next level, for which sky is the limit. The views expressed herein are the personal views of the author.